Laugh tracks, those recordings of canned laughter that at one time predictably accompanied all TV comedies, are supposed to cue an audience response, anointing certain comments, actions, or dialogue as funny. The laugh track says: It’s good to laugh now. Laugh tracks also suggest we are similar. We are all part of an audience that laughs at the exact same things. 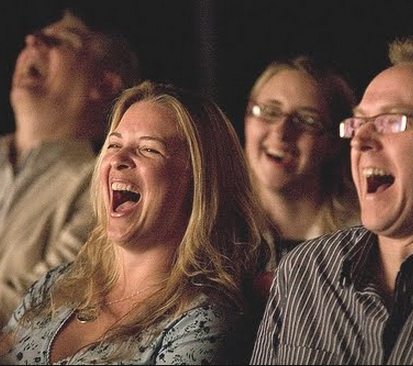 One reason laugh tracks were originally created was to provide that feeling of shared laughter—the pleasure you get in a movie theater or a live performance when the entire audience is laughing together. But, usually in life, we don’t have laugh tracks to cue that laughter. And, increasingly, we don’t have that shared background with those in the theater, or even in our living room. As audiences become more diverse, who laughs (at what and why) becomes more divided. This becomes especially apparent when comedy lampoons different ways of speaking. A lot of humor depends on stereotyped portraits of speech-types. These depictions can be hilarious at times, offensive at others—and often simultaneously so to different groups of people. So, creating one unified laugh track would be impossible. Why can’t we all laugh together? On watching this video with others in the class, half of us—those from China and Singapore—laughed heartily. The other half—those of us from the United States—just sat there, fascinated and puzzled. Not laughing. We weren’t trying to be tasteful or polite, expressing our offense at the crass depictions of stereotypes across East and Southeast Asia. We didn’t even know enough to make such judgments. We just didn’t get it. fossilmusictv dis is da best mothas day. eva. Ferd617…Oh, dere was one mudder day dat was a little bit bettuh. For Chun, Asians’ enjoyment of Cho’s stereotyped versions of Asian speech seemed more straightforward then “out-group” laughter. Cho’s TV show, All-American Girl, was canceled after one season, in 1995. Eddie’s mother played by American actress Constance Wu must fake a Chinese accent throughout the show. It hurt my ears even more when I heard Wu speaking in her normal, unbroken, smooth-as-silk English during a TV interview. As we get to know these more well-rounded accented English speakers as people, hopefully it will make it harder to see them as one-dimensional punch-lines. 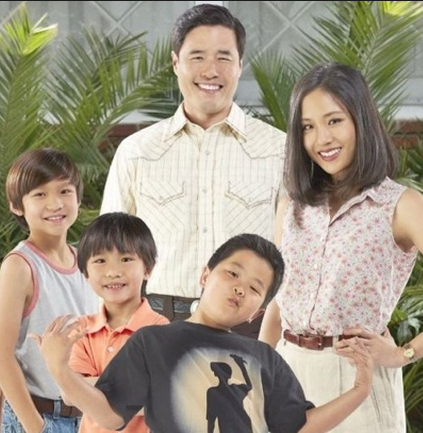 Fresh off the Boat is blessedly absent a laugh track. Language variety and stereotypes of talk seem to be fodder for humor. But, the humor may appeal in different ways to different audiences, in ways the universalizing presuppositions of a laugh track could never capture. At least leaving the laugh track out of shows like Fresh Off the Boat lets the audience figure it out for themselves—and with each other. How do you react to comedic depictions of language diversity like those in Fresh off the Boat? Have you found yourself wondering why certain accents are funny? Or whether you should be laughing at all? Please comment. 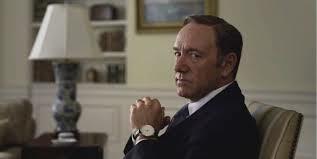 Is Kevin Spacey’s accent as a South Carolina politician in House of Cards any good? But, the viewers don’t buy it! A revealing critique of this perspective on Kevin Spacey’s performance comes from the citizen sociolinguists who comment on this video. 53 comments have already piled up. XBLArmory As a southerner I find it interesting but by no means is it authentic; he sounds more like Foghorn Leghorn to me than any real southerner. Nicodin Bogdan I think it’s interesting to point out that it might not be super correct geographically but maybe this is a trade-off for accuracy versus feel. We feel like Spacey comes off as an old-school, “elite” southern gentlemen and that’s what the show wants. ZestyItalian2… [his accent is] not “off”, per se. It’s just an older accent that’s associated with the southern aristocracy. It’s not extinct- just less common than it used to be. And considering the character background of Frank Underwood- poor boy, self-made man from the small town south- it’s not unreasonable to suggest that he affected a highborn, genteel southern accent, just as Scots and Irish of a certain generation (think Peter O’Toole) affected a semi-aristocratic RP English accent to bolster their careers and statuses. And trust me- Spacey leaves nothing to chance- least of all something as essential as an accent. Spacey is a technician. One of the most technical of all American actors, in fact. He draws characters out as if they had blueprints or schematics. Nothing he does, physically or vocally, is an accident. And I have a very hard time believing that he didn’t do his research into the specific type of dialect Frank Underwood would have. I’ve always thought he sounded a lot like Jimmy Carter. Another group of comments point out that labeling things with scientific terminology does not make them into an argument. I appreciate the smart relevance of these comments that contest VOX’s sociolinguistic exegesis. Given the nuance that goes into the performance of a fictional character, the VOX video critique seems to me to be analogous to those of Grammandos who assert their grammatical expertise by criticizing people who write the phrase “comprised of” or use the word “literally” figuratively (The Language Experts). Are Accent Commandos are now taking up that gauntlet? Fortunately, citizen sociolinguists, like these commenters, are out in force, making nuanced points revealing the complex way languages work in social life, the theater, Hollywood, politics –and Netflix. What do you think of Frank Underwood’s accents? Or others in the public view? President Obama, for example, has also been criticized and mocked (Language Awareness or Linguistic Insecurity?) about the “authenticity” of his various performances of language variety. Why grant authority to the categorical decrees of Accent Commandos? Please comment below! How do you translate talk and text? For many, Google Translate, the on-line translation robot, comes into play. But Google Translate makes mistakes, so ingenious humans have figured out nuanced ways of using it in not exactly the way it was intended: Google Translate hacks. In this post on Google Translate one blogger asked “Is Google Translate Sexist?” and then suggested that, indeed, it is. He showed this by running tests in German, in which, for example, the word “teacher” in the phrase “Cooking teacher” translates as “Lehrerin” (feminine) while in “Math teacher” it translates as “Lehrer” (masculine). I tested this myself, with Spanish: Sure enough, a “Cooking teacher” is a “professora” (feminine), while a “Math teacher” is a “professor” (Masculine). This does not necessarily mean Google Translate is sexist. Instead, this “sexist” translation illustrates Google Translate’s strength as a potential stereotype detector. Some words collect in gendered ways. We recognize these stereotypes—in concert with Google Translate. ¡Porque aquí dice school of fish y abajo dice banco de pescado. Pero si fuera- si como dice arriba school of fish seria escuela de pescado! Nope! Google Translate doesn’t get it. But this “mistake” reveals how Google Translate can work well as a Citizen Sociolinguistic tool. In its dumb errors (or “sexist” oversteps) Google Translate can reveal the nuanced knowledge of human beings, like this bilingual mom. Flash forward 10 years in the life of a bilingual family. Often, bilingualism is distributed across a family, parents having expertise in one language, children in another. Robert LeBlanc’s research on multilingual literacy among teens who attend a massively multilingual Catholic Church (services offered in English, Spanish, Vietnamese, and Tagalog) illustrates this point. And, he learned about this Google Translate hack one family developed there. Asks mother (who speaks and writes in Vietnamese, but not English) to edit, smoothing over the inevitable Google Translate errors. Records mother reading the passage aloud, using his phone. Listens to audio from phone during spare moments and repeats it until it is committed to memory. Recites memorized Vietnamese bible passage in church. With this hack, Google Translate, which seems impersonal and error-prone, has the potential to function as an intimate medium, forcing at least one teen to engage deeply on a multilingual task with his mother. Because Google Translate is imperfect, much is lost in translation. But when we use Google Translate as Citizen Sociolinguists, in concert with multilingual acquaintances, friends, or family members, much more can be found. How do you use Google Translate? What Google Translate hacks do you know? Please share and comment below! The lack of racial diversity in the “Academy” (of Motion Pictures) was well publicized long before Oscar night. It even gave writers enough time to come up with Neil Patrick Harris’ quip about “the best and the whitest– oops brightest” to kick off the show. And, with #OSCARSSOWHITE cresting as a popular twitter hashtag, white homogeneity was in the spotlight. But how did language diversity fare? There is no #OSCARSSOSTANDARDENGLISH or #OSCARSNOLANGUAGEDIVERSITY2015 to track on twitter. How inclusive is the Academy when it comes to different ways of speaking? As Citizen Sociolinguists, we have the tools to investigate. First step, we can look at what people were saying then and there, at the Oscars, about language. Then we can ask our social networks: What memorable moments of language talk could people recall the next day? People I’ve talked to immediately recalled two primary ultra-awkward moments of talk about language (and these seem to have been underlined in real time Twitter feeds too). Oh my god, they want me to talk because I am the worst English-speaking guy here. Finally, I just want to take one second. I want to take the opportunity to dedicate this award for my fellow Mexicans. The ones who live in Mexico. I pray that we can find and build a government that we deserve. And the ones that live in this country, who are part of the latest generation of immigrants in this country. I just pray they can be treated with the same dignity and respect of the ones who came before and build this INCREDIBLE. IMMIGRANT. NATION. Thank you very much. If that is the “worst English-speaking guy” in the room, what might we call some of the other English speakers present that evening? And how well does the Academy seem to recognize the verbal artistry involved in language diversity? What moments of talk about language did you hear at the Oscars? What do your social networks have to say about language diversity that night? 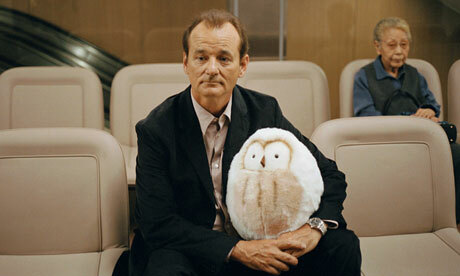 Have you ever indulged in a movie… outtake? 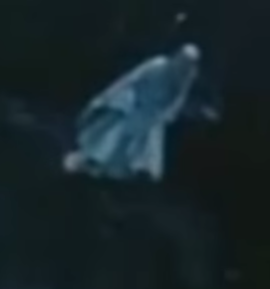 The DVD ends and scenes flash beside the credits, featuring the very same movie actors you just watched–breaking character. They swear or burp or burst into belly laughs, when they are supposed to be exuding wisdom or dying or committing a felony. Even animated movies have outtakes. Toy Story outtakes, for example, proliferate on the web—as if the anthropomorphized toys are so real that they, like human movie actors, sometimes break character and burp or giggle at the wrong times. Outtakes were once perhaps simple teasers to make people keep watching during the credits after the movie ended. 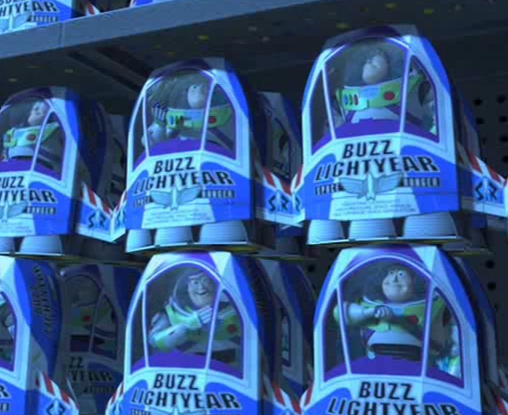 Now they are specially produced and sought out on the web for their own, unique merits (one Toy Story compilation on YouTube has over six million hits). Why? What makes outtakes interesting to people? Outtakes show that actors—even the toy Pixar characters?—have lives beyond the artifice of the movie set piece. They react to situations and interact with each other in a huge variety of ways, some of which may be familiar to us, or idiosyncratic and new (like the way Seth Rogan giggles). Also, they make us feel like Hollywood insiders. Movie making isn’t as elite and exclusive a process as we may have thought. Outtakes reveal the process. They also suggest the joy in it. Maybe making the movie was even more fun than watching it. Now, how does this citizen enjoyment of movie outtakes relate to Citizen Sociolinguistics? Think of the “research article” in place of the “movie.” The article, conference address, or book, like a Hollywood production, emerges from careful editing–the squeezing of countless interviews, observations, field notes, recordings, videos, into the professional medium of a journal article. As with moviemaking, quite a bit ends up on the cutting room floor. But, language researchers seem to delight in resurrecting those bits that didn’t fit their professional storytelling venture (or research methodology). Just as movie producers (and viewers) delight in replaying Ian McKellen swearing about his robes in The Fellowship of the Ring, language researchers (and readers) relish the unexpected stories that emerge inevitably when doing research with our fellow humans. While Labov includes these descriptions of his subjects (and this one continues in a footnote), he concludes that they play no part in the focus of his research on stylistic variation. Yet these Steve K sorts of descriptions remain a hallmark and entertaining highlight of all Labov’s research. Linguistic anthropologists, like sociolinguists, also indulge in the anecdote and aside. I still recall clearly the story one of my anthropology professors relayed about a white (Caucasian) anthropologist’s fieldwork. In a discrete epilogue to his book length ethnography, he revealed that, during his entire time living as a participant-observer in remote Indonesia, the community thought he was a ghost. In the spontaneous moment of an introduction or over wine at the post-talk reception, a researcher might share something about the connection of their work to their own life. Last month, for example, an esteemed, senior sociolinguist gave a talk here at Penn, and introduced his quantitative, fine-grained analysis with a story about his own experience as a graduate student with a stigmatized North Philadelphia accent. Long after he had finished his PhD and had begun to emerge as a leader in the field, his mentor/professor confessed: From the way you sounded in class, I never thought you would really make it through. These research outtakes reveal the artifice of the research project and even the research training process, throwing what we might have ignored into the public’s view. What we thought was marginalia may be what drives the work. These days, sociolinguistic outtakes need not drift into the obscurity of footnotes, or asides during the post-talk reception. The structure of social media, the networked arrangement of the Internet, digital media that hyperlinks footnotes and other information, all make asides as easily accessible as the main research article. And those who are “subjects” in that article may be reading or listening to those asides. What if they joined the conversation? What if we focused on the outtakes? That’s a Citizen Sociolinguistic approach. Now with social media and hyperlinks to even the most obscure trivia, the institutionally sanctioned research question can easily fall to the background, and the footnote can become focal. 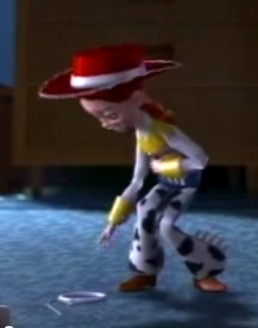 As the Cowgirl from Toy Story says in a blooper when she accidentally pulls off part of Buzz Lightyear: Should we put this in the movie now? Maybe we should put more sociolinguistic outtakes into the official research. We may discover that the new post-globalization, post-Internet language diversity (or “super-diversity”), has been here all along, in the outtakes. What “asides” become central to you? Do they take you off-track, or show you a new perspective, something you never knew about before? Please comment below!